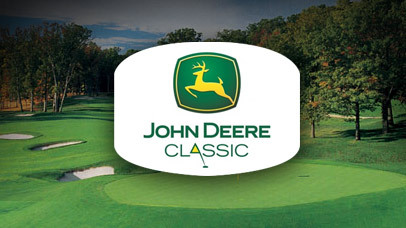 John Deere Classic (JDC) is a most important part of PGA Tour which is actually a professional golf competition. John Deere Classic is generally staged annually since the foundation in 1971. In the following year 1972, it became an official tour event. John Deere Classic has successfully complete 45th season and now the time for next edition. Generally, this golf championship is staged every year in the month of July but upcoming 46th edition is already scheduled to place in next August, 2016. TPC Deere Run will be their course which was established in 2000. Last year, the total prize money was $4.8 million which would probably increase this year. Tournament Location – Silvis, Illinois, U.S.
# Short Information of Course: TPC Deere Run is a semi private golf course in United States which is situated in Silvis, Illinois. It was founded in 2000 which is currently operated by PGA Tour. It has 18 holes along with 71 par. The course is consisting of 7,258 yards which was designed by D. A. Weibring. Let’s have a glance below where the short information of Course is given. 10th August, 2016 (Wednesday) – Bonus Day – Anyone ticket holder gets the free pass to enjoy Wednesday Pro Am. 11th August, 2016 (Thursday) – Senior Day – 60 years or older than that can get ticket only for $18 in that day. 12 years old or below children can get free pass when they are with a paid visitor. 13 years to 18 years older can get ticket only for half price.